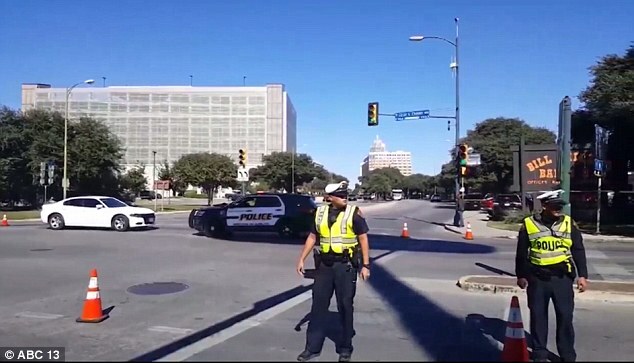 A San Antonio police officer has been shot dead in his patrol car while writing a traffic ticket outside police headquarters. Detective Benjamin Marconi, 50, was sitting behind the wheel of his vehicle when a man pulled up behind him in a black car in downtown San Antonio on Sunday. The suspect got out and walked up to the patrol car's passenger window and shot Marconi in the head, according to Chief William McManus. The man then reached into the window and shot him a second time in the head. The suspect got back in his car and fled the scene. Police believe the suspect was driving a black Toyota or Nissan sedan. 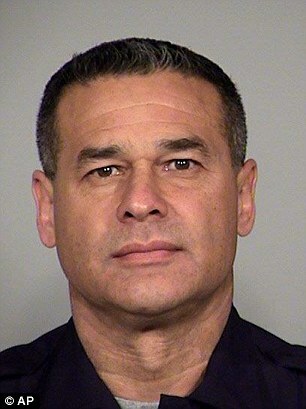 Marconi had been on the force for 20 years.